Installing a green facade involves a lot of considerations before the construction even starts. There are plans to be drawn up and approved, costs to calculate, materials to source, and labour and equipment hire to be coordinated. Parts to organise include plants, substrate, and materials for the facade structure. The number of personnel needed, and for how long, is largely determined by the method of construction. A major consideration here is the installation method, which will depend on the size of the building and other factors. For example, a very tall multi-storey building could require the use of scaffolding, cranes, lifts and swing stages. Good timing and efficiency are paramount in any facade project installation, as time delays and other problems can lead to extra costs. In a new build, the facade design should form part of the original drawings, whereas a retrofit project will require new drawings to be done. These will of course need to be signed off and approved, and any relevant permits will need to be obtained. Labour hire and materials need to be ready to go on the day. Delays in material deliveries and labour coordination can really push up project costs. 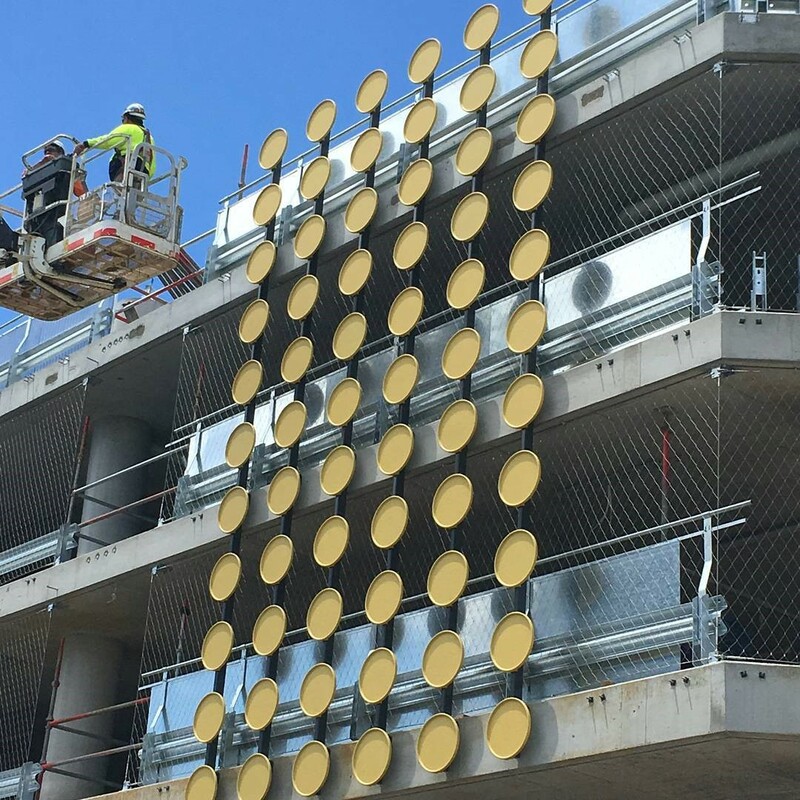 Most facade installations will require a wire structure for the plants to attach to. Its important tthat the structure is ready to go on the day of installation, and to be aware that re-tensioning may be required within the first 48 hours while the cabling is ‘settling in’. As well as labour and construction materials, all the other trades and services required need to be coordinated. This may include painters, structural engineers, gardeners, horticulturalists and irrigation specialists, as well as truck and equipment hire. Poor planning or coordination, or rushing and cutting corners, can lead to major problems later on – being very well-prepared ahead of time is essential! It’s also important to have good communication systems in place between stakeholders. Lack of communication in a project can lead to misunderstandings, project delays, mistakes and spiraling costs.